Baby feet favor bag. 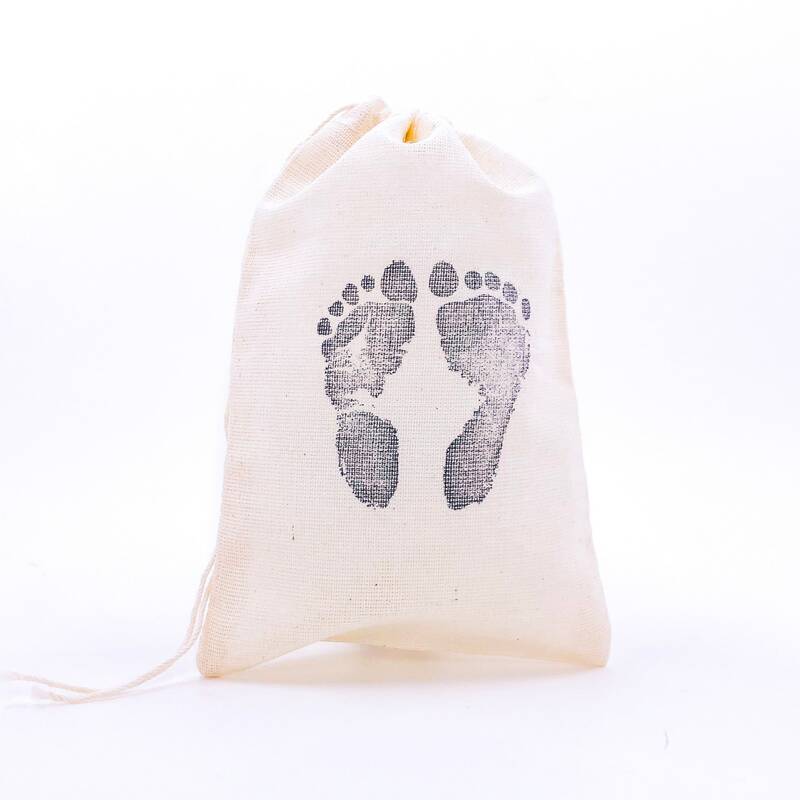 Give your baby shower an extra special touch with the baby footprint favor bag. Perfect to tuck in a small gift. Great gender neutral gift bag.